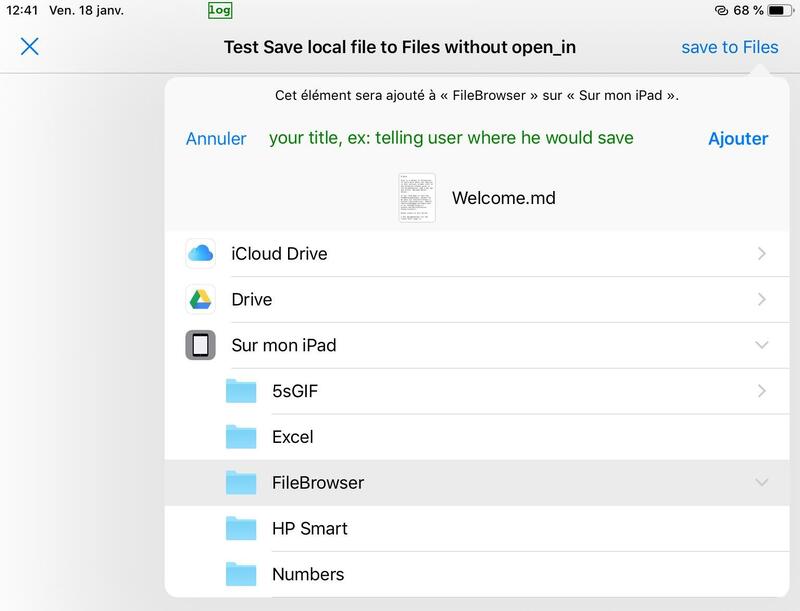 Function to open a sheet or popover view with the "save in Files app" without passing via the "Open In menu"
instead of 2, but implying a (dangerous) move instead copy. Nice little piece of code! Thanks, I will definitely use it.